Brakes: How wasteful! – HubNut – celebrating the average! One of the biggest problems with electric vehicles is that they really highlight how wasteful ICE (internal combustion engine) cars are. When it comes to generating pointless heat, road vehicles are wonderful! 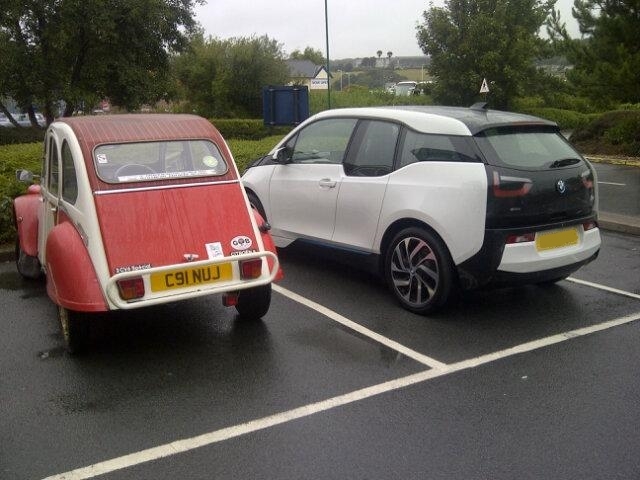 ICE versus Electric. Which one generates most waste when it comes to heat? Take braking for instance. We just take it for granted that we press a pedal and the world gets less blurry. What we’re actually doing is taking the momentum we’ve built up with an inefficient petrol/diesel engine and converting it into heat. If you don’t believe me, drive down a long, steep hill with your foot constantly on the brake. Then have a good feel of your wheels. Careful – they may be VERY hot. Then there’s the engine itself, which mostly turns fuel into heat. Great in the winter, because it keeps us cosy, but also great at warming the air around the vehicle. It’s what radiators are for. Electric vehicles on the other hand tend to have regenerative brakes. The electric motor becomes a generator, recharging the batteries and providing a strong engine-braking feel. In a car such as the Nissan LEAF, pressing the brake pedal gently strengthens this effect, causing the vehicle to slow. Only if you really stamp on the pedal do the actual brakes kick in – which some folk reckon can cause the brakes to simply seize up through lack of use! 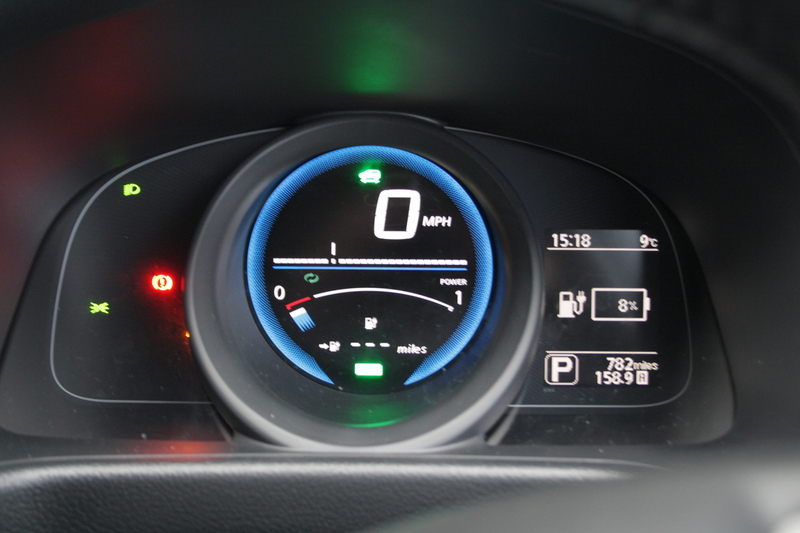 Sure, you don’t get something for nothing, and you’ll not put back into the battery what you took out accelerating, but it really does help extend range – as I recall all too well from our Nissan e-NV200 Roadtrip. To be honest, that regen was the difference between us making it home, and running out of juice in the middle of nowhere. Very low on juice in the Nissan e-NV200 Combi. Regenerative braking enabled us to get home. But this still leaves me driving in ICE vehicles, realising how wasteful it is to brake. I haven’t driven an EV since November, but this feeling is very hard to shake! It’s exactly the same feeling I get driving in traffic. Now this really is where the EV shines. Come to a stop, and all is silent and serene. While you’re not moving, or even when pottering along gently, you’re using barely any energy at all, while an ICE vehicle would still be turning its engine over at around 1000 times a minute. As you may have noticed then, I’m still rather fired up about EVs. They’re still tantalisingly out of reach, though there are some great deals out there. I’ve seen brand new LEAFs offered on contract hire for as little as £150 a month for two years including battery hire. £3600 to hire a quite revolutionary vehicle for 24 months. That still doesn’t fit my meagre budget, but it must surely be tempting for a lot of people, especially if the household has a second car that can be used for mega-mile trips. Anyway, here’s another chance to see my review of the Nissan e-NV200. There’s an old saying about how the throttle pedal uses fuel, but the brake pedal wastes fuel. Us 2cv drivers, of course, appreciate momentum far better than most road users, and how hard it can be to regain lost forward motion.